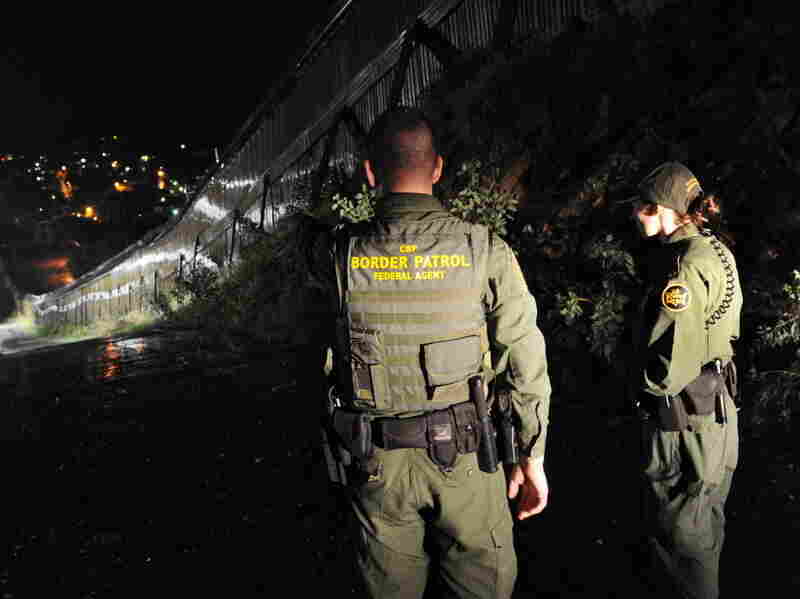 Mexican Deportees Strain Border Cities The U.S. deported a record number of illegal immigrants last year. Many were released in Mexico's dangerous border cities, which are struggling to provide even temporary shelter. 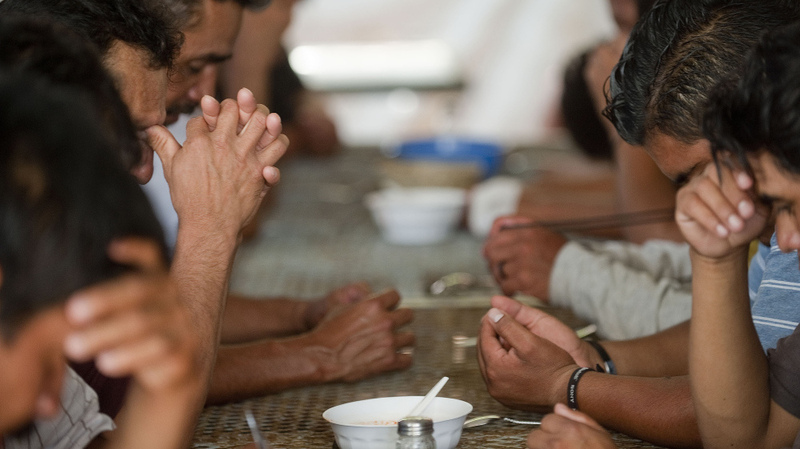 A group of illegal immigrants from Central America deported from the United States eat at a shelter near the Mexico-U.S. border, in Nogales, Sonora, Mexico, July 28, 2010. Last year, the U.S. deported a record number of immigrants — and the Mexican border towns where they are being released face serious problems coping with the influx. Last year, the U.S. deported a record number of immigrants. Almost 400,000 people who were in the country illegally were arrested and sent back to their home countries. The vast majority were Mexicans, and many were released into dangerous cities like Reynosa. The city is struggling to deal with the thousands of deportees who arrive each month and are vulnerable to violent thugs, drug gangs and corrupt officials. Avila's shelter feeds the deportees and offers them bunks to sleep in, but only for three nights, then they have to leave. In the past, the shelter was shut during the day. Residents were expected to go out and search for work or try to line up help from relatives. Many of them arrive with nothing. We have to give them everything — clothes, shoes, everything. Catholic nun Maria Nidelia Avila Basurto, who runs a shelter for Mexicans deported from the U.S. But Reynosa has gotten so dangerous over the past couple of years that now, rather than the deportees being locked out of the shelter during the day, they're locked in. Avila says that when the deportees were out during the day, many of them were abducted, beaten or robbed. But by keeping them in the shelter, the nun says, they've been able to avoid that. Mexican kidnapping gangs often target people who have family in the United States under the assumption that most can quickly raise a ransom of $500 or $1,000. This part of Mexico isn't dangerous just for migrants. Even the former mayor and his son were kidnapped over the summer. Avila says her problem is that the number of deportees continues to rise, making it harder for the shelter to help them make the transition back into Mexico. Lately the deportations are happening every day, she says. Many days, 100 or 120 are released by U.S. immigration officials at the international bridge adjacent to downtown Reynosa. For some of them, this is their first taste of freedom after serving lengthy criminal sentences in the U.S. Others were picked up for drunk driving or traffic offenses. Santana Castrejon Alvarez, 58, said he was arrested after being caught using a fake Social Security number. U.S. Border Patrol agents patrol along the border fence between Arizona and Mexico, July 28, 2010. "In the United States, everyone buys fake documents. Everyone. Unfortunately, I bought them too, like everyone else," he said. Castrejon says he spent much of his 21 years in the U.S. working at a McDonald's in Chicago. He also worked in a plastics factory and a pizza restaurant. Castrejon had just started a new job, and the employer turned him in to the Immigration and Customs Enforcement agency. He says he has no intention of staying in Mexico and plans to try to cross again illegally into the U.S.
"Here, I don't know where to go because all my family is still over there in Chicago. My wife, my sister, nieces, nephews — everyone," he says. For the deportees who do decide to stay in Mexico, they face more than just the perilous streets of Reynosa. Jobs are scarce. The minimum wage is the equivalent of $5 a day. And corruption is rampant. Many of the deportees arrive in Reynosa with no form of identification. As the drug war has spread in Mexico, so have security checkpoints. It's nearly impossible to move through the country without a picture ID. Volunteers from a local human rights group make temporary credentials for anyone who needs them. The volunteers have just returned from the printer and are distributing them to the deportees. Jose Elejarza Maldonado with the Center for Border Studies and Human Rights in Reynosa says that without some form of identification, the returning migrants will fall prey to corrupt officials. Elejarza says his group regularly gets complaints that corrupt police and other authorities steal from these individuals. The Mexican government does help deportees with one-way bus tickets to their home states, and the U.S. government has started flying more of them into Central Mexico, but still thousands end up being exiled each month into violent border cities such as Reynosa. Migrant advocates here say that roughly 30 percent of the deportees immediately turn around and head north. They'd rather take their chances with the U.S. Border Patrol than venture out into an environment where they could get beaten, robbed, kidnapped or worse.